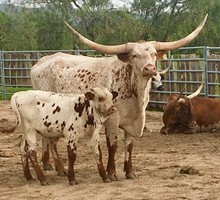 Why Buy Registered Texas Longhorns? 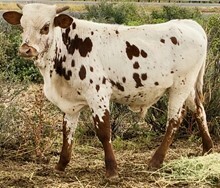 We offer registered, friendly, colorful Texas Longhorn cattle for sale at all times. 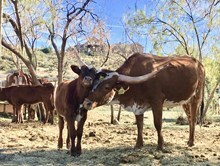 Longhorns have a legacy of ‘fitting in’ everywhere. 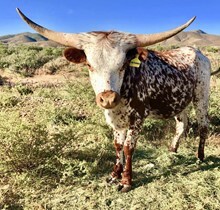 Whether you have a big place, a ranchette, horse property, acreage in need of a beautiful horned weed mower, perhaps the ultimate pasture ornament as a focal point to entertain your arriving guests, and so much more…We offer a colorful big horned solution! 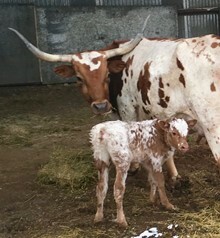 Given their well deserved reputation for being genetically favored to be hardy, smart, strong, disease resistant and long lived cattle Texas Longhorns are also known for their uncomplicated birthing and superb mothering instincts. 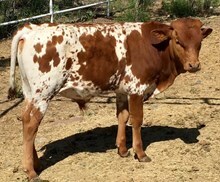 These factors contribute to making Texas Longhorns among the most economical breeds of cattle. 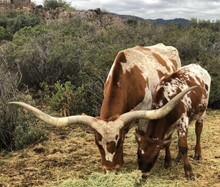 Enjoy having your own connection to the true Old West, whether a remarkable ‘landmark’ at your entrance or put to use on weed control, or starting your own herd…registered Texas Longhorns are a unique treasure to be enjoyed. 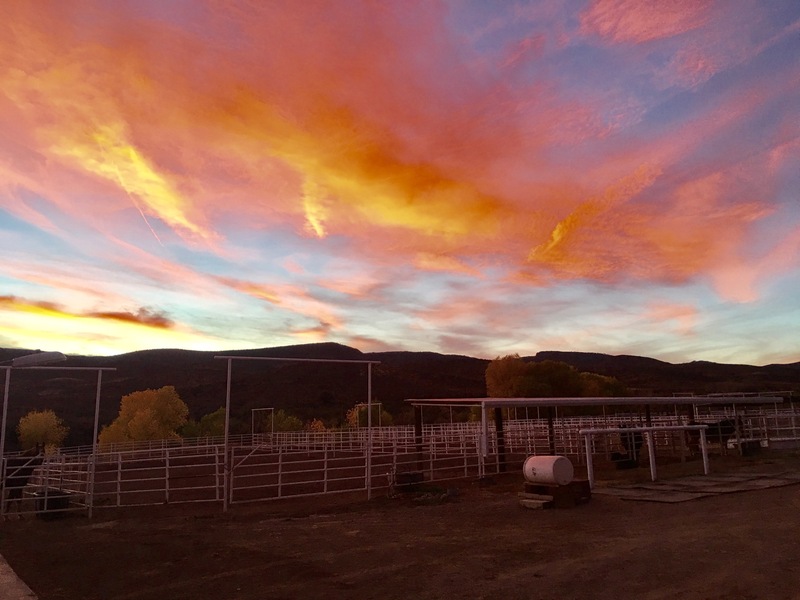 We invite you to come visit us at Cuttin’ Edge Ranch Longhorns to see for yourself! 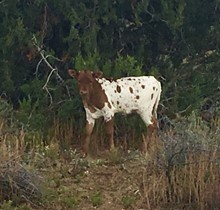 A beautifully marked red/white heifer calf CER Carolyn Sue Poppins (CER RJ Admiral Rattler x LLL Max’s Mary Poppins) came to us on a bright sunny Arizona morning between Monsoon rain storms 8/28/2018 (see LLL Mary Poppins photo). 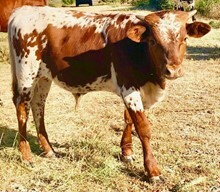 She brings us a truly beautiful pedigree, looks like an artists rendition of a perfect Texas Longhorn heifer…for whom we have high hopes of bringing those qualities to our herd one day! 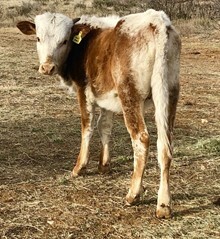 Like her mother/sire, ECR Coyote’s Aurora and Ranchero ECR (Cowboy Chex x ECR Alamo’s Rose), CER Phenomenal Ashley has a great pedigree, and is a well made and full bodied heifer with lots of color. 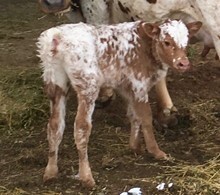 We look forward to getting our own phenomenal calf from her in 2019! Our thanks to Curtis & Ross Ohlendorf, Rocking O Ranch for our purchase of ECR Coyote’s Aurora. 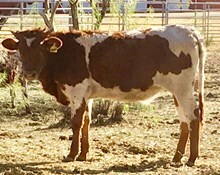 CER Cinderella (DOB: 8/5/2013) exposed 6/2/2018 to CER RJ Admiral Rattler for 2019 calf. 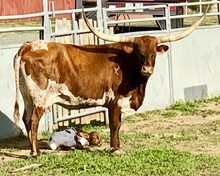 Our kids pet (who we are not ‘allowed’ to part with, is CER Sweetheart, not registered,Texas Longhorn who came from a local ranch where purebred Longhorns were raised but records were not kept...no records, no TLBAA Registration. Sweetheart has produced beautifully every year and this year is no exception. 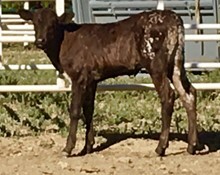 On 4/19/2018 Sweetheart brought us CER Gentleman Jack (CER RJ Admiral Rattler x CER Sweetheart). 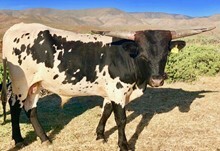 A handsome guy for sure he is a beautifully marked steer who inherited his mother’s sweet and friendly personality, hence his name! Gentleman Jack is well made with great color and temperament, a pleasure to be around. Exposed heifer to CER Heza Sugar Daddy, this strikingly beautiful and very correct daughter of LLL Max’s Mary Poppins and JTW Testosstyrone. 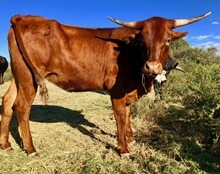 The previous owners of this heifers mother, 'Mary Poppins, the Ohlendorf’s describe JTW Testosstyrone, “Little Ty,” as a “beautiful bull with a tremendous- bodied, twisty horned dam. His grandma also had twisty horns and lived a long, productive life. 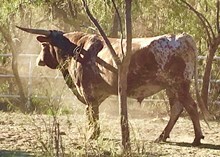 JTW Brown Sugar has some of the biggest hips in terms of hooks to pins and broadness across her back that we have seen in a longhorn cow. Ty is as good as they get. 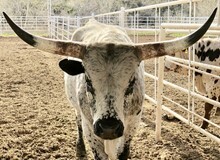 On the show circuit he was the 2012 TLBT National Reserve Grand Champion Bull!!!" 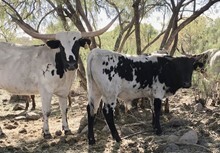 SOLD November 10, 2018 to Garye & Anita La Fevere, Bar 27A Cattle, Buckeye, AZ. 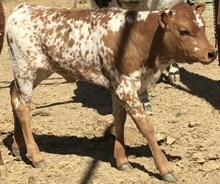 CER Hollywood Starlet, heifer exposed to CER Heza Sugar Daddy for a spectacular Spring 2019 calf! We wish them all the best and thank them for their purchase of CER Hollywood Starlet!